UX designers come from diverse backgrounds, but few skills are as indispensable to the modern UX designer as the ability to think critically about communication. This truth is even more apparent when designing for products without a screen. For products like these, the designer must prioritize the inherent intricacies of human interaction that, while complicated, are essential in building trust between the user and product. Without a screen, the only interface there is between a user and a product is the one cultivated by a UX team. Idean’s Designing Emotional Intelligence panel tackled this intangible recently on a balmy night in Palo Alto as part of our Design Download event series. The guests were Phillip Hunter, Head of UX for Alexa Skills at Amazon, and Ha Phan, Principal UX Designer, IoT at Homma, whose collective experience designing for the emotional intelligence of products drew a sold out attendance of local UX designers curious to learn more about the next frontier of experience design. After Mr. Hunter’s presentation, during which he spoke in detail about the challenges inherent to designing for voice, the audience was encouraged to ask questions. 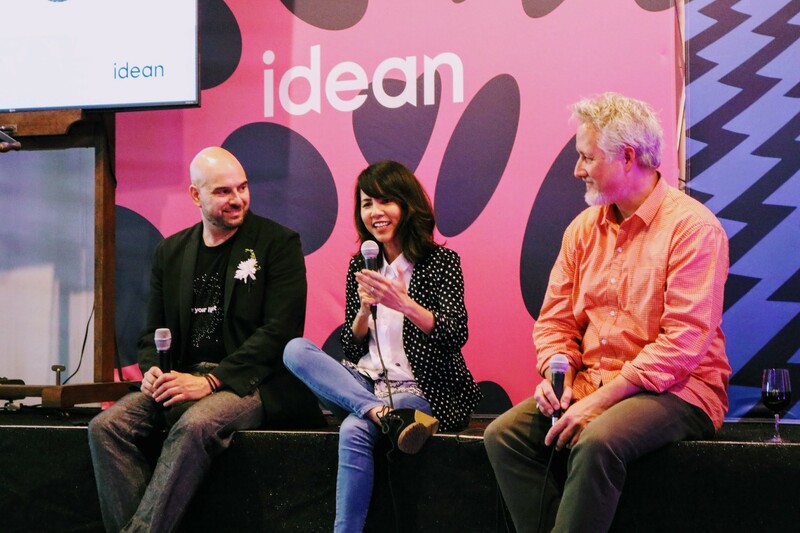 The following are some highlights from his presentation and follow up panel, which also included Ms. Phan, and was moderated by Jon Fox, Idean’s Creative Director in Los Angeles. Communication is simple until it’s time to explain it. Most of us can recall the moment we, as students, learned our multiplication tables; or if we’re craftsmen, we can probably recall how we developed our craft. But when it comes to communication, we likely figured it out before we even knew what learning was. That makes deconstructing it, when we’re designing, more difficult, because we have to assign meaning and methodology to parts of our emotional intelligence that we never thought we’d need to explain. Motivations are difficult to convey and even more complicated to design for. Conversations happen for a variety of reasons. They can happen socially, such as when we tell stories to each other. They can also be transactional, such as when speaking to a cashier, and they can even have no purpose at all — simply “filler,” as when we listlessly ask strangers about their workday at a dinner party. It was important, when designing Alexa, for Mr. Hunter and his team to take all modes of conversation into consideration. Doing so taught them just how nuanced even our most basic forms of communication can be. Saying “please,” for example, is a basic social construct that can have dramatic effect depending on how often it’s incorporated into any given conversation. Imagine if Alexa only responded to a user if each question was delivered politely. Mr. Hunter and his team rigorously debated questions like this before landing on a solution for Alexa’s interface. When designing for voice, consider the essential emotional components of communication, including tone.